The bigger, the better. 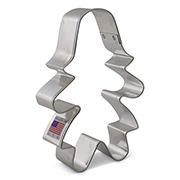 Our 5" Gingerbread Man Cookie Cutter is perfect for oversized holiday cookies. 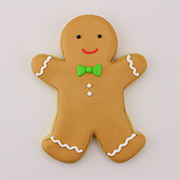 It could also be used to cut fondant or fruit; for stenciling, quilting, and other crafts; and for gift-giving! 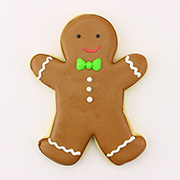 This is one Gingerbread Man you CAN catch. 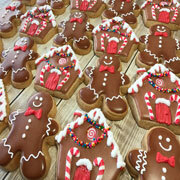 Cookies decorated by A Dozen Eggs and Dany's Cakes. I love EVERY cutter I have bought by Ann Clark. Super simple and last forever.